I'm trying to be strict with myself on Christmas this year, especially in terms of food. I've lost weight recently and I don't to gain it back by pigging out on mince pies, but they're so delicious I'm struggling to resist. However, I decided that I didn't need to resist doing Christmas nails, what's the harm right? And apparently Twitter agreed, as I did a poll earlier and these were the popular choice! These aren't the first Christmas nails I've done this year I have to admit, I've been playing around with nail wheels to decide on some designs and these are a by-product of that. As I was swatching the Gelish - Thrill Of The Chill Collection* (review coming soon), I couldn't help feeling Christmassy and I wanted to do some quick Christmas nails to show off the gorgeous shades of the collection, and to play around with one of the designs from my nail wheel. I used Gelish - My Main Freeze* as the base, then added a layer of Gelish - Ice Cold Cold*, once these were cured and I had wiped away any residue I used MASH - Black Nail Polish and my Winstonia Berry Wine Brush for the detailing of the trees. Finished with another coat of topcoat. I absolutely love these! 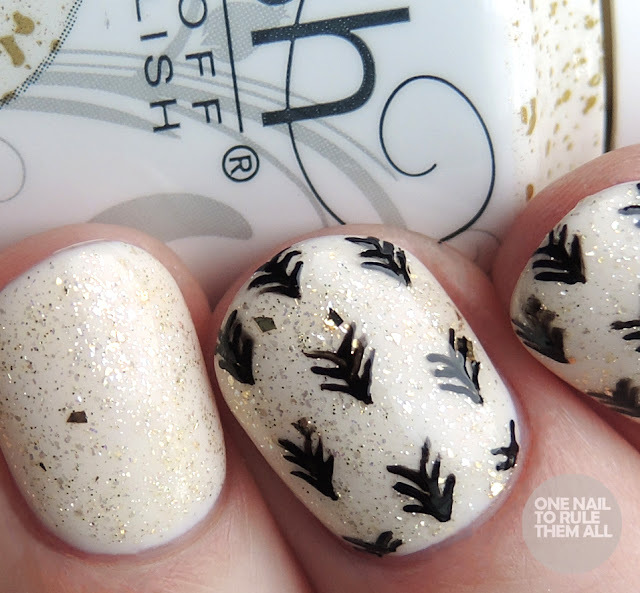 That little touch of gold really adds something to this manicure! 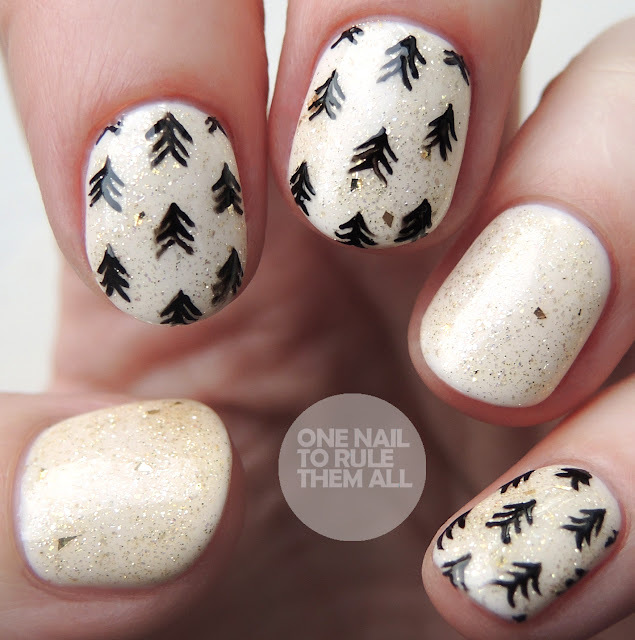 I've done something similar to this but with zigzags and on black. I am with you on avoiding the over eating at Xmas!